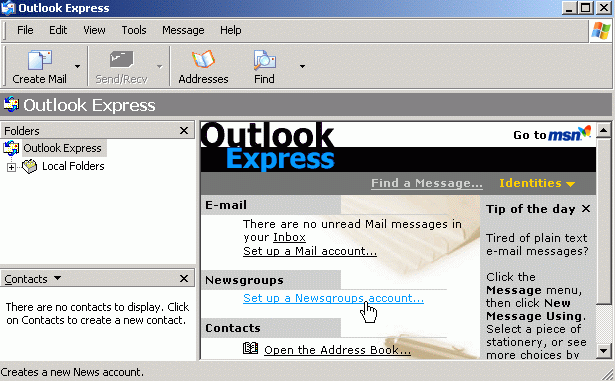 Back in October 2007 I struggled with converting a user’s email from Outlook Express (OE) to Outlook. My problem was I neglected to export her OE email prior to joining her computer to the new Windows domain. I figured out a solution in the end, after hours of work. Life would have been so much simpler if I had know about the DBXconv program, which I found via Claus’s site. DBXconv is freeware that extracts messages from OE5 and OE6 mailboxes into various formats. As a test I downloaded DBXconv and saved it into a directory with a copy of my OE mailbox files. I ran the following command to extract the messages into .eml format.